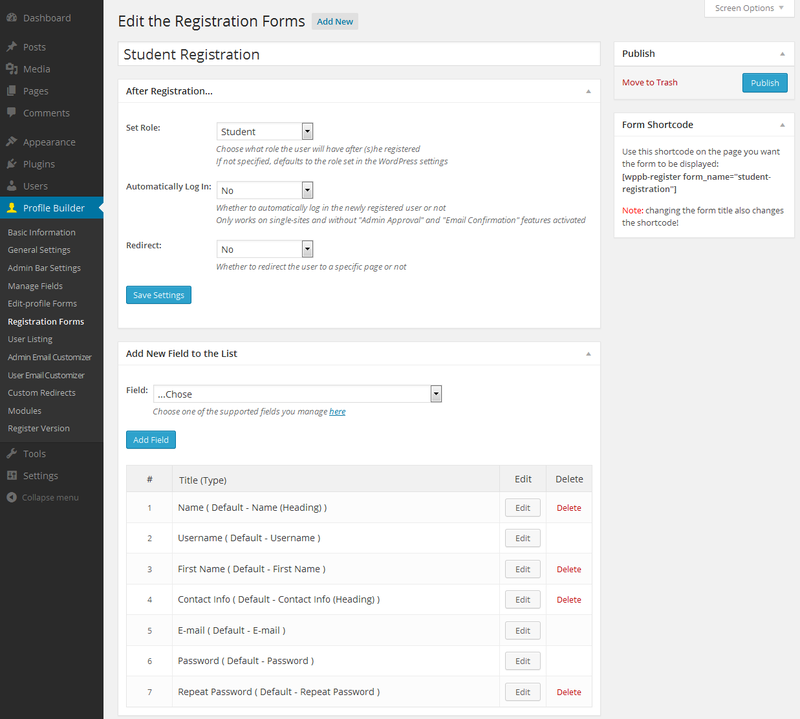 The Multiple Registration Forms module allows you to set up one or more front-end registration forms with different fields for certain user roles. 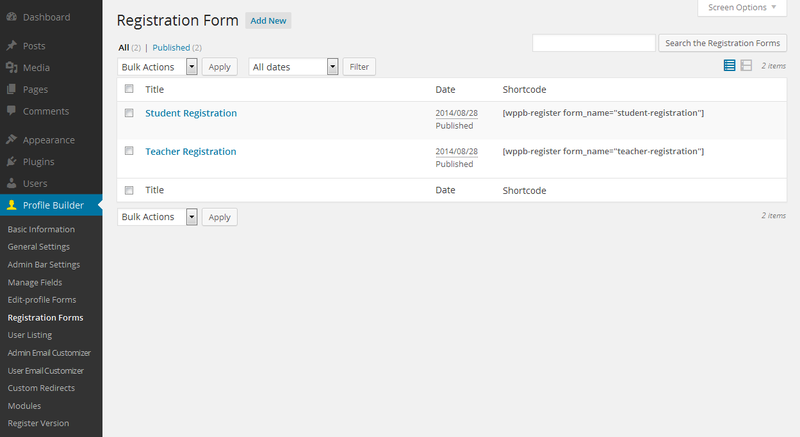 After activating the module from the Modules UI, the Registration Forms tab will show up in the Profile Builder menu. Here you can edit all the existing registration forms as well as add a new form. If you haven’t set up any registration form yet, you will be taken directly to the Add New Registration Form page. When adding a new registration form you first need to enter a form Title. Set Role – choose which role will the user have after registering through this form. When setting up a new registration form you can choose which fields to appear in it. This allows you to set up multiple registration forms with different fields and collect different information from different types of users (user roles). 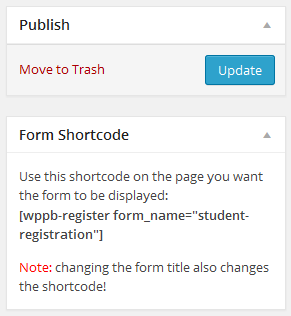 After selecting the form options and fields you can go ahead and “Publish” the form.